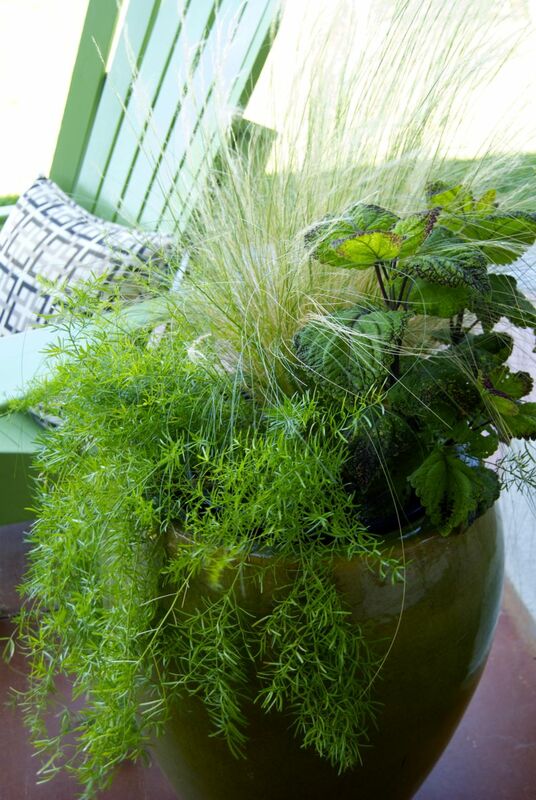 Container gardens are extremely fun if you like trying your hand at creating small vignettes of plants loaded with visual appeal. They provide a limited space with definite boundaries forcing gardeners to be disciplined in choice yet creative in design. 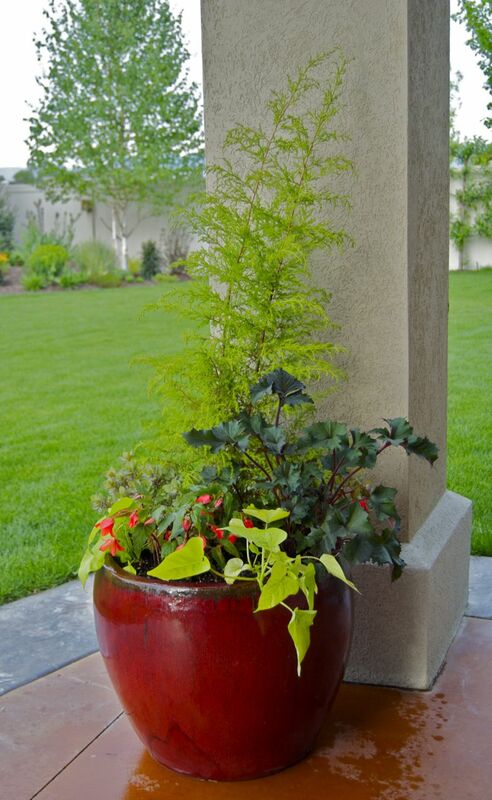 Color, texture and form are all important parts of ornamental container gardens and not only when considering plants but the container itself as well! This year I decided to take some items that were “worn”and give them a second “wind”. 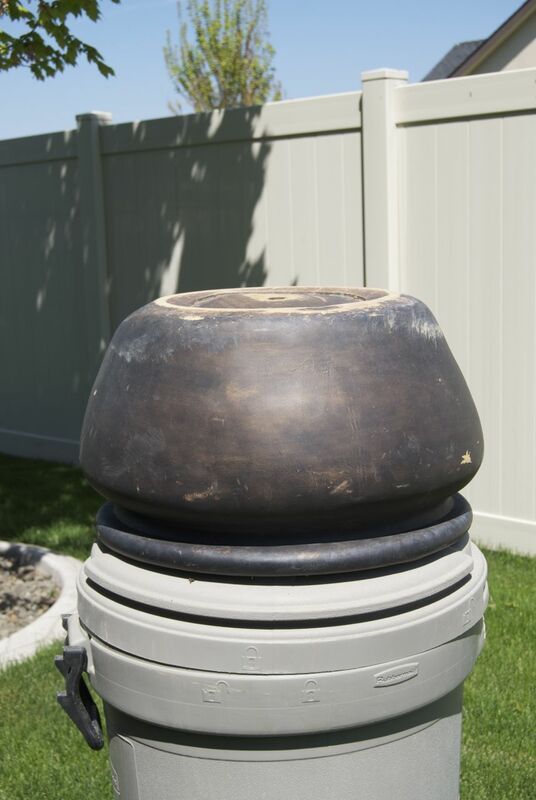 The first was a lightweight container I purchased about 5 years ago that had seen quite a bit of wear and tear through several moves and several seasons. 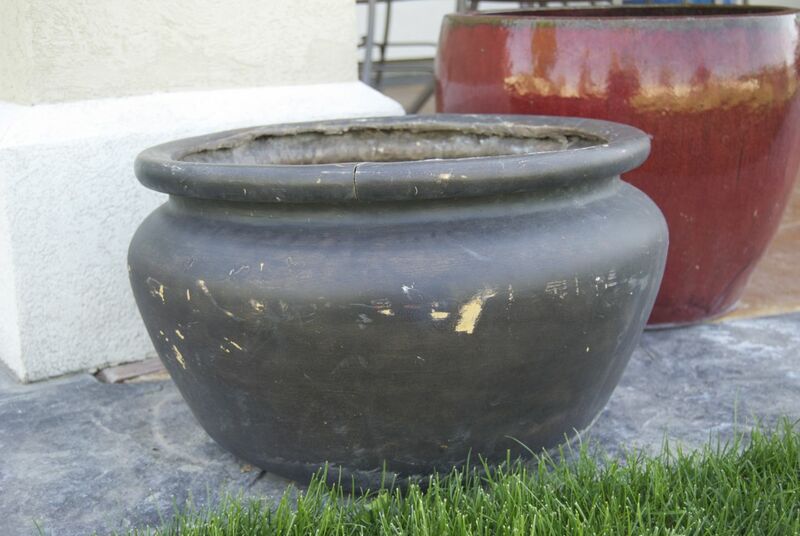 However, nothing a can of spray paint couldn’t fix up so I found a place to paint (to my husband’s dismay) and a short while later voilà – new life in an old pot! 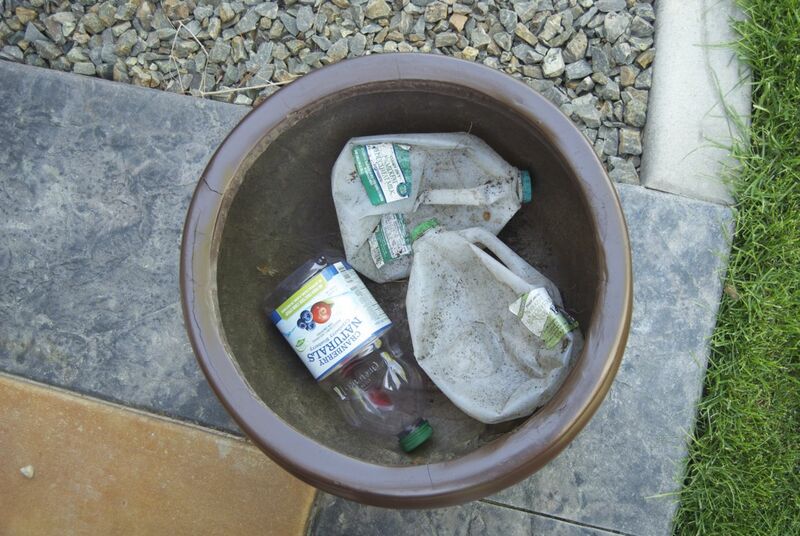 My next container project was to try a material that I saw being used at the 2012 Northwest Flower and Garden Show. 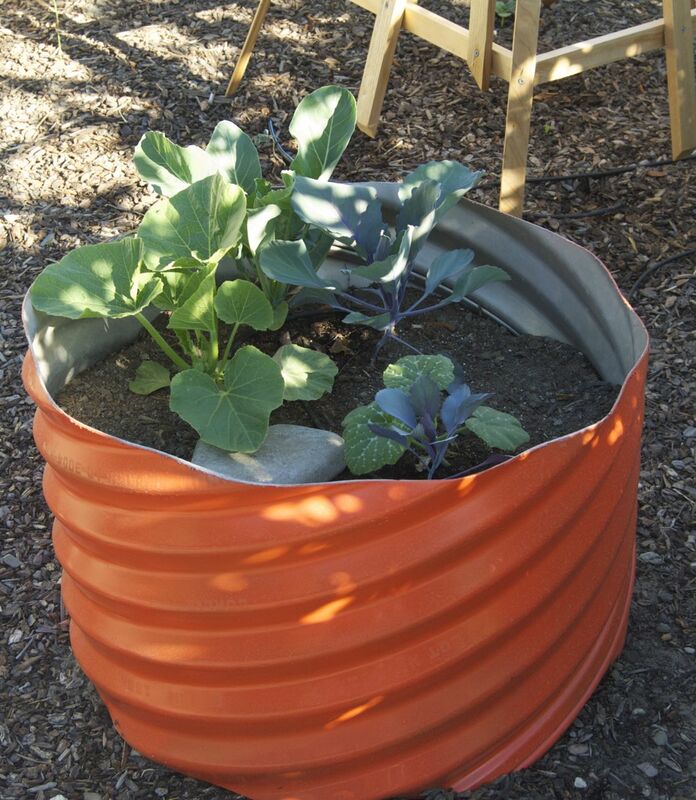 Some of the display gardens incorporated galvanized corrugated pipe as a container/raised bed. I called a couple of places to source the material and check prices but quickly found out that what I was looking for cost more than I wanted to spend. Next idea, give Dad a call… maybe he would have some at the ranch. As luck would have it, he had exactly what I was looking for (approximately 2′ diameter pipe) and was not planning to use it. He was even able to cut it for me to make three planters! Thanks Dad! I decided to try potatoes in two of the pipe planters and pumpkins and cabbage in the other. 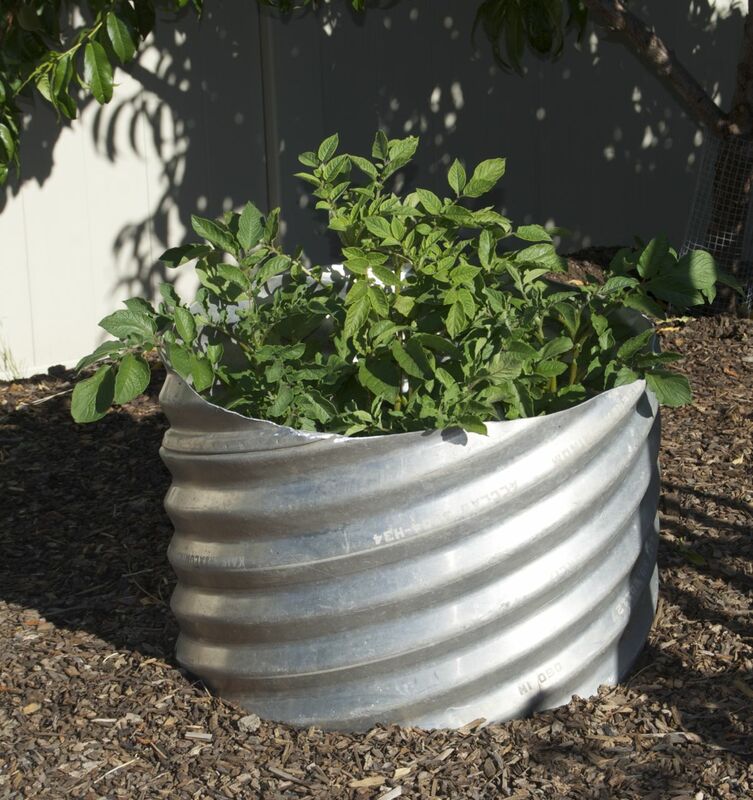 For the potatoes, my plan was to set the containers directly on the ground and plant the seedling potatoes at ground level by putting a few inches of compost and soil over the top of them. Once they sprouted and the plants grew 6″ or so I would put another few inches of dirt/compost on the plants until they grew another 6″ and then follow this routine until the soil was about one foot deep. To date, the project has been successful and the plants are growing and I’m still piling dirt on them. 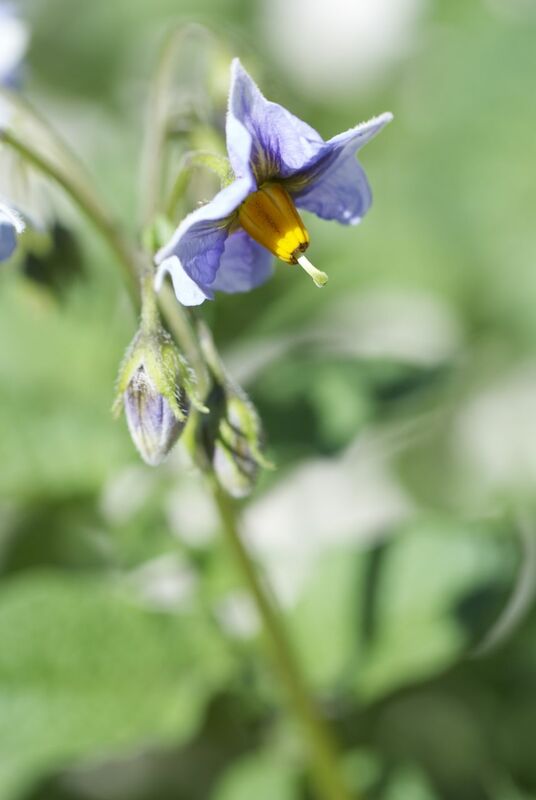 They have flowered which is a good sign but the true test of success will be when it comes time to harvest and I “lift” the pipe containers over the plants to access the potatoes. 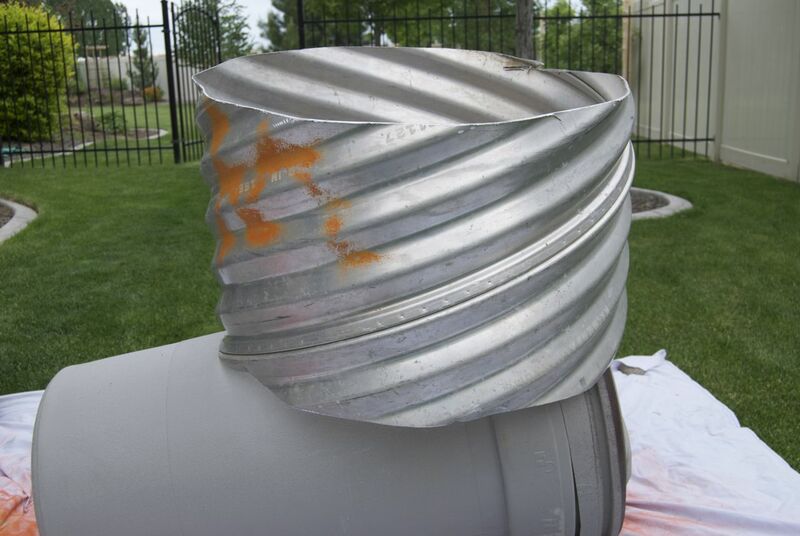 I couldn’t resist painting one of the pipe containers a brilliant orange, to complement the white “Casper” pumpkin and french pumpkin I planned to grow in it. 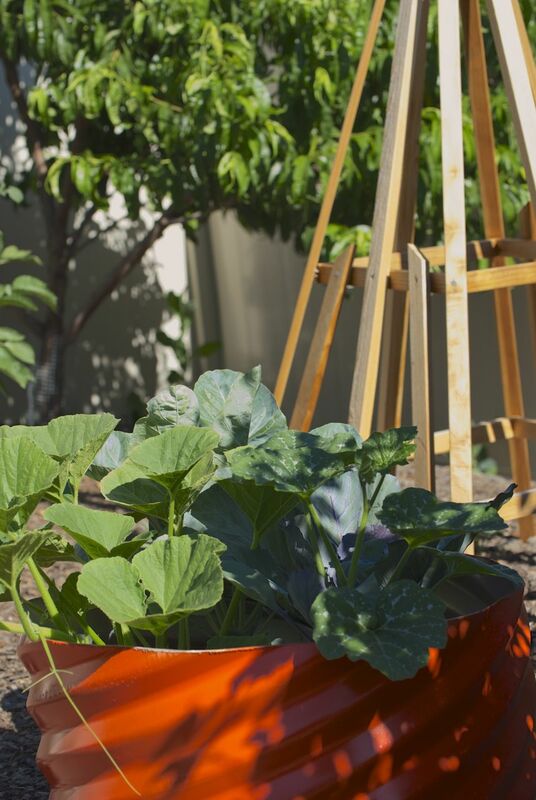 So again with the spray paint and then to the garden for planting. As for the rest of the containers, since it’s mid-summer now (when considering the calendar and local growing season and ignoring the conversations about “back to school soon”) it is a good time to give them a last shot of fertilizer. Another refurbished container using some moss to hide a round plastic insert as the original square metal insert has rotted. My fertilizer of choice is fish emulsion. Yes, it does have a bit of stench you have to get past while mixing and applying but there are lots of benefits to using it. First, it contains the typical N (nitrogen), P (Phosphorus), K (Potassium or Potash) analysis along with micronutrients, yet is naturally derived, i.e., completely organic and sustainable. Second, it is easy to use and quite affordable. Just mix appropriate amount with water and give plants a good drink. Third, fish fertilizers will not burn plants as easily as chemical fertilizers since they generally have a slower release. The slower release also means they don’t have to be applied as often. Now isn’t that worth a few minutes of holding your breath! If you want to learn more about fish fertilizers (various types, advantages and objections) take a read of this informative article from Urban Garden Magazine.com. 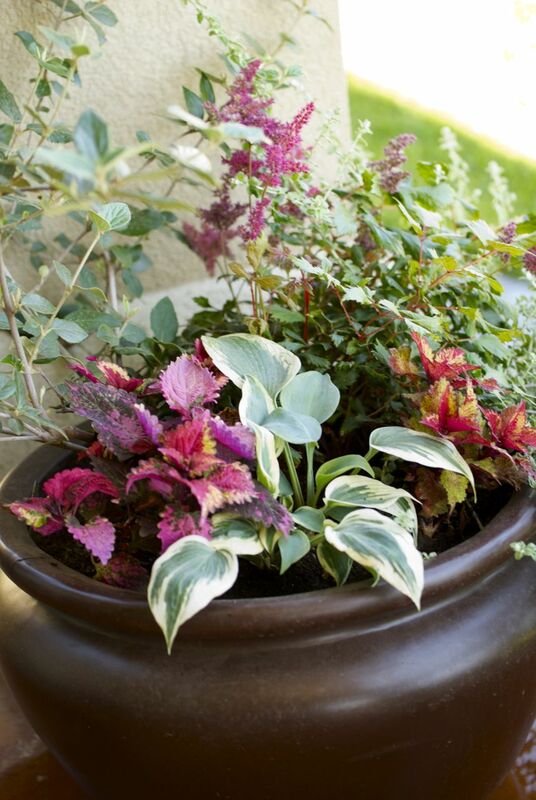 How about your container gardens? 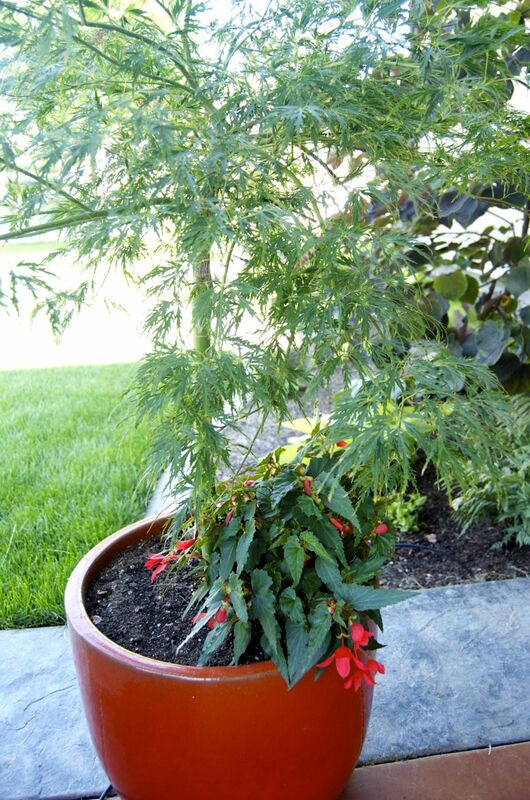 Did you refurbish or upcycle a container this season? 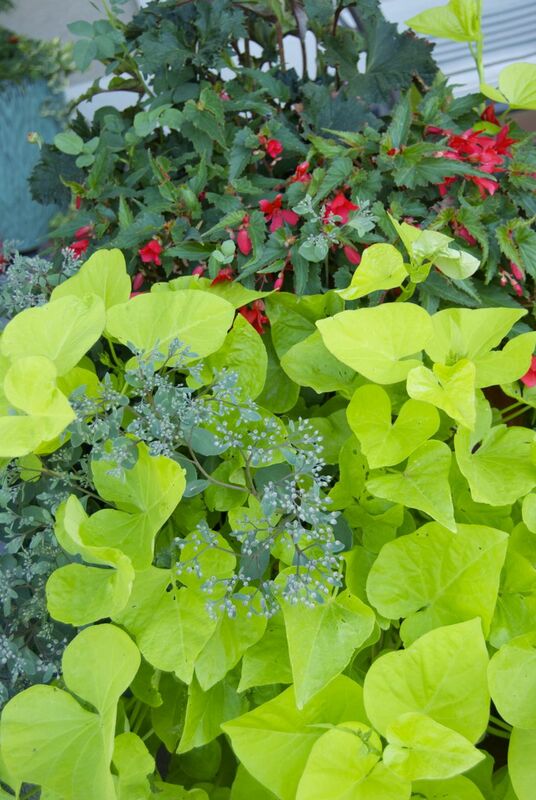 Are your containers filling in and becoming eye-catchers as planned? 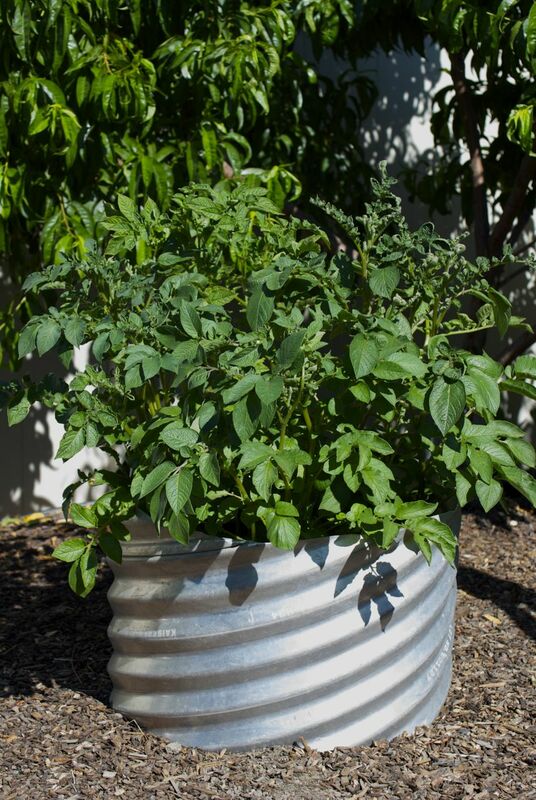 Do you have edibles in containers that you are planning to harvest? 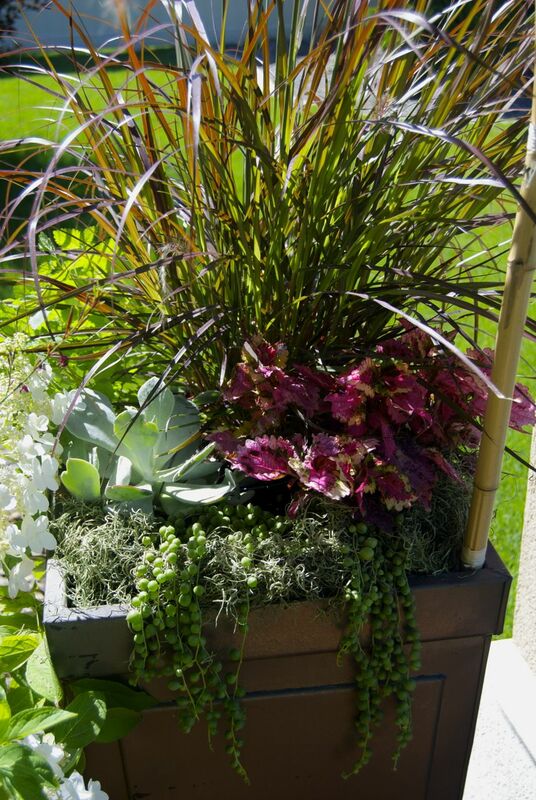 Love, love , love these…never thought of the pipe and spray painting an old worn out pot….the container plantings are also wonderful! 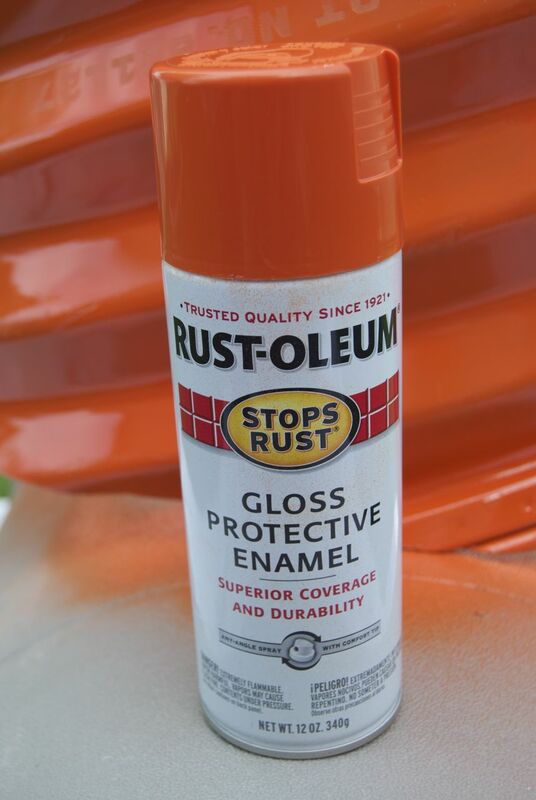 I love that orange colour for the pipe… brilliant idea! 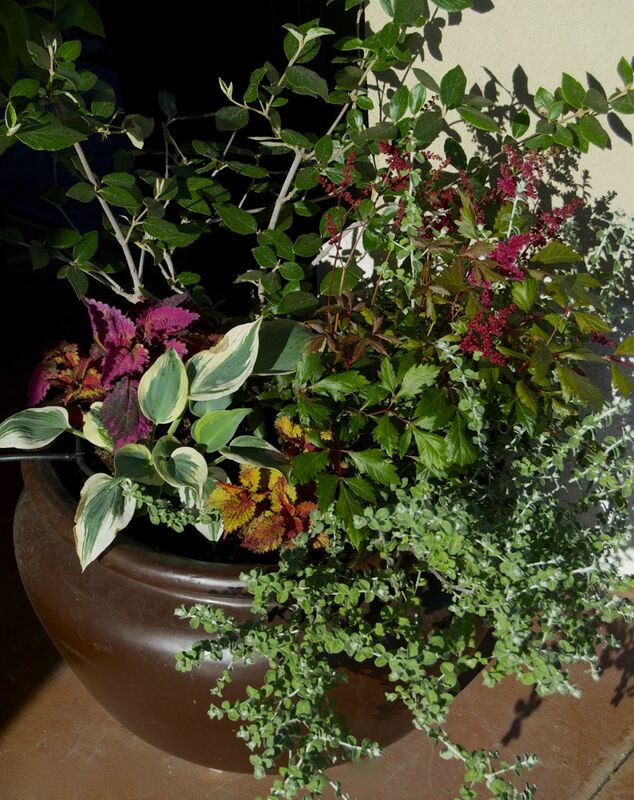 Your containers still look lovely – most of mine are looking a bit tired of the heat. My conainer squash and runner beans are doing well though! I love the bright orange one!